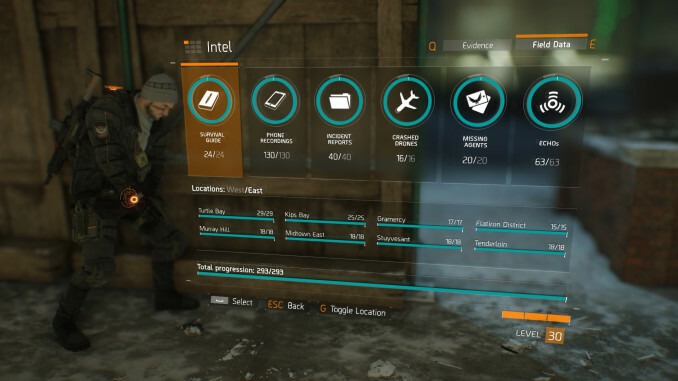 The Division will also reward you when collecting all the available Field Data in the Intel menu. Although there are two types of Intel, namely Evidence and aforementioned Field Data, only Field Data is required and counted in order to unlock some special achievements/trophies as well as cosmetic items. The following guide shows what is necessary to reach 100% ingame completion status. 293 intel collectibles are waiting for you to be collected in Tom Clancy’s Division. Tip: Unlock the Canine Unit Upgrade in the Security Wing to retrieve the Intel Discovery Perk. This would allow you to see all undiscovered Intel on the map, provided that you have completed all Side Missions and Encounters of a Named Area. See full list of achievements/trophies here. 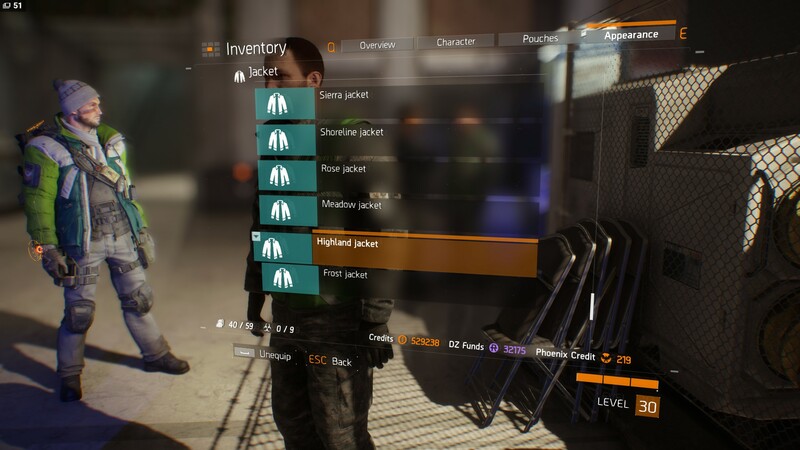 By collecting all items of one of the 6 sections listed above, not only the achievement/trophy will be unlocked, but you will be also rewarded with a vanity item – a jacket. The following rewards can be claimed at the so called Rewards Claim Vendor, which is located in the back area of your Base of Operations. Unlock this jacket by recovering all Survival Handbook pages. Unlock this jacket by extracting all phone recordings. Unlock this jacket by extracting all audio incident reports. Unlock this jacket by extracting all aerial photos from crashed drones. 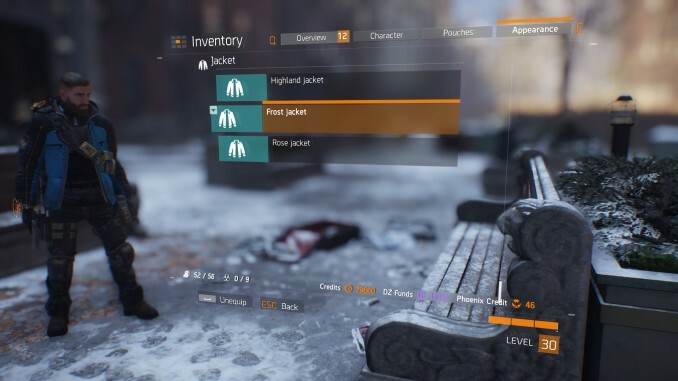 Unlock this jacket by retrieving all The Division Agent profiles. Unlock this jacket by activating all ECHOs.